McDonalds and Costco made headlines last week when they announced a campaign to eliminate the sale of food products treated with antibiotics. While many consumers rejoiced, others questioned the need for such a proclamation. Are farmers needlessly injecting their animals with antibiotics? 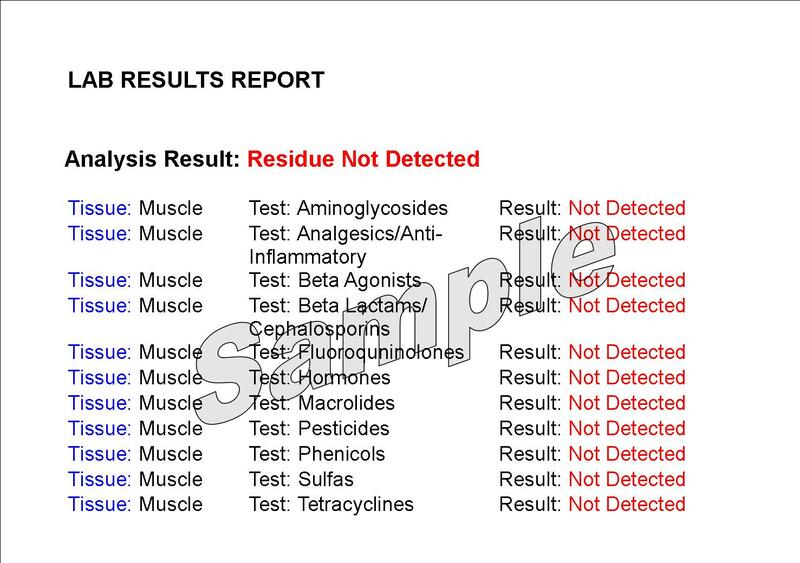 Is there antibiotic residue in the meat we eat? How can consumers be assured their food is truly safe? As a small meat processor, I have seen firsthand the USDA’s commitment to this issue. Countless hours have been spent discussing preventative measures and receiving training to ensure that the food produced within my facility is safe for human consumption. In order to be eligible for slaughter, animals must be able to walk off the trailer and pass an ante-mortem inspection…things that are not always easy when sick livestock are involved. While the media would have consumers believe that antibiotics are unnecessarily pumped into healthy animals, the truth is that sometimes – despite a farmer’s best efforts – livestock get sick. Random infections, traumatic births, and muscle aches are all reasons why good farmers make the choice to medicate their animals. Unfortunately, sometimes the medicines do not work and the producer is forced to decide the greater good…humanely slaughtering the animal in a facility such as mine with the hope of preserving the meat, or allowing the animal to finish its life on the farm where prolonged suffering may occur. This choice is not an easy one. To aid my customers in this process, all producers are asked to complete a livestock verification form when bringing their animals for slaughter. This internal documentation ensures the topics of age, origin, and health are discussed with every animal. Through these conversations, I have denied service to several producers over the years whose livestock did not meet the recommended antibiotic withdrawl period. In every case, these farmers were more concerned about the safety of their animals and their consumers than about their profit. Unfortunately, larger slaughterhouses do not always have the ability to talk directly with farmers and learn the health-history of every animal…making the USDA’s role even more important. As part of their commitment to food safety, the USDA randomly samples meat from every facility to ensure that it is clear of all pathogens and residue. These carcasses are held at the processor until the results are analyzed and the USDA is satisfied the meat is completely safe. While admittedly not a full-proof method, this random sampling has proven to be very effective in preventing tainted meat from entering the market. As we have seen this past week, retailers like McDonalds and Costco are good at making headlines. However, consumers can feel confident knowing that farmers, processors, and USDA staff are committed to making safe meat products…not just for your family but also for our own! I wasn’t an FFA member in high school. While I knew about the organization and saw their signature blue jackets proudly worn by my classmates, I never sought out a jacket of my own. As a rural farm kid, I understood the importance of agriculture; yet, there are no ag classes listed on my transcript. Active in many student organizations, I embraced the call to leadership but never was trained in parliamentary procedures. I competed in several oratorical contests; however I never experienced the challenge of extemporaneous public speaking. Balancing school and work was always a priority, although never with the extensive recordkeeping of a supervised ag experience. 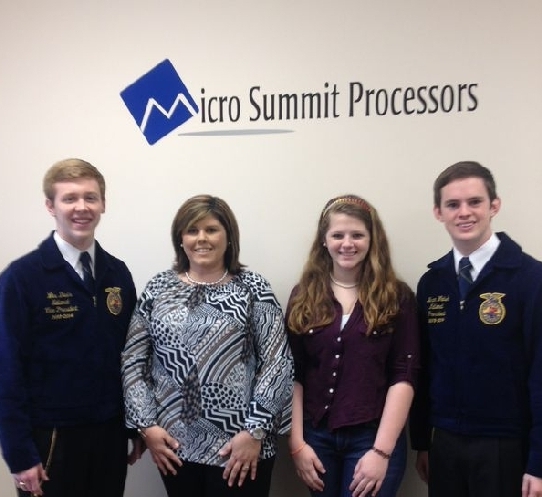 I wasn’t an FFA member in high school…but I should’ve been! My husband introduced our family to the FFA when he answered the call to teach an ag class at our small Christian school. 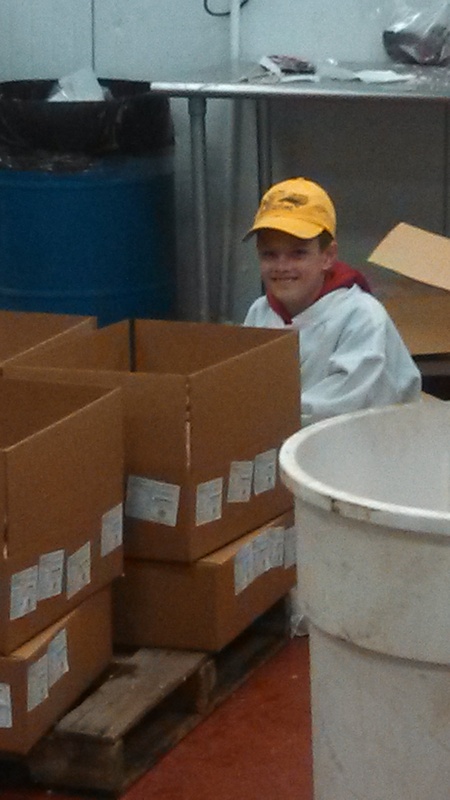 The students wanted an elective other than art or drama, and, for the farm kids of our community, Introduction to Agriculture was the perfect choice. As the student interest grew, so did the school’s program. Not only was FFA embraced in the high school, but our daughter was in 6th grade when the middle school FFA chapter was established. It wasn’t until I became an FFA Mom that I finally started to understand the value of The Blue Jacket. 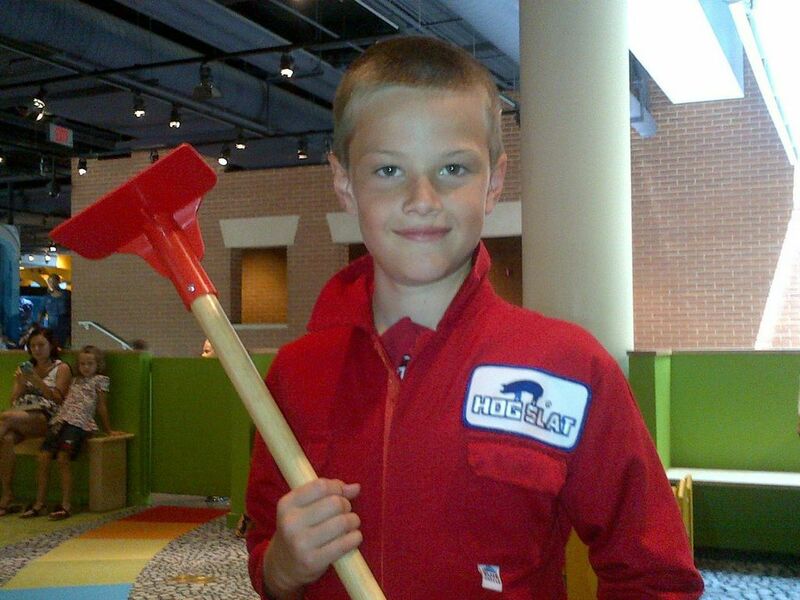 As an FFA Mom, I saw firsthand the transformation that comes with just a simple zipper. When my daughter put on her jacket, she became a part of something much larger than herself…an organization embedded with history and entrenched in leadership. 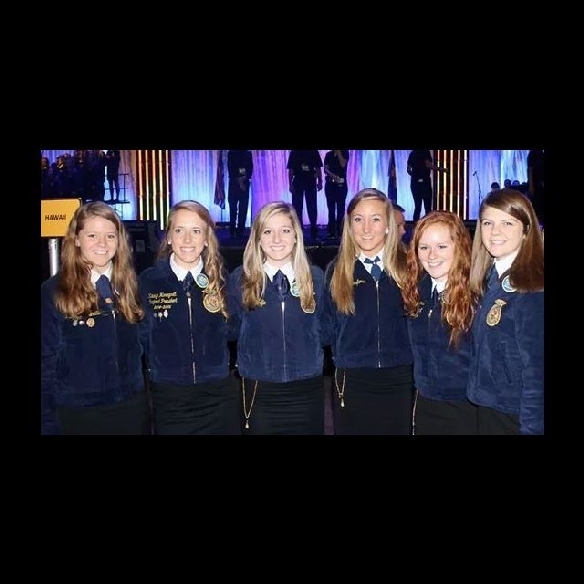 She built lifelong friendships within her chapter, explored new opportunities within her association, learned to network within our state…but most importantly, our daughter found herself in the FFA. The passion that my daughter felt was contagious within our family. Suddenly, it was no longer enough that our family embraced the values of FFA…we wanted to share those same passions with others. It was then that we became aware of the FFA Alumni Association, an extension of FFA designed to provide support and assistance to local and state chapters. Thankfully, the Alumni Association wasn’t restricted to just former FFA members…it was open to anyone with a passion for The Blue and Gold…and I definitely qualified! While I may not have been an FFA member in high school, thanks to the work of the FFA Alumni Association, I realized it is never too late to join! As a current Alumni member, I consider myself a cheerleader for all things FFA. I support the students, the teachers, the state leaders, and the national organization any way possible. While monetary donations are nice, I have found there are so many other ways to give to this worthy cause. I have shared everything from lunch to pantyhose tips…time spent practicing for a career development event to chaperoning a trip to a symposium…all through my tenure as an Alumni member. These brief exchanges have inspired me and challenged me…molded me into a better leader and helped me to be a better person. I may not have worn the blue jacket in high school, but I am proud to say that I do now! 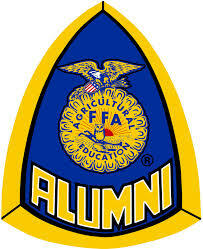 *Visit https://www.ffa.org/support/alumni to learn how you, too, become an FFA Alumni member!